The caraway seed is a staple in salads and will be a welcome addition to your herb garden. Oddly enough, caraway has been found in the remains of Egyptian tombs and ancient caravan trails. The present name ‘caraway’ is derived from an Arabic word “karawya” and it is mentioned by Isaiah in the Bible. A “dish of caraways” is referred to in Shakespeare’s Henry IV as it was a traditional finish to a feast in Elizabethan times. Caraway is an ancient herb credited with magical properties. It was purported to give protection from witches and to prevent lovers from leaving, making it a common component of love potions. 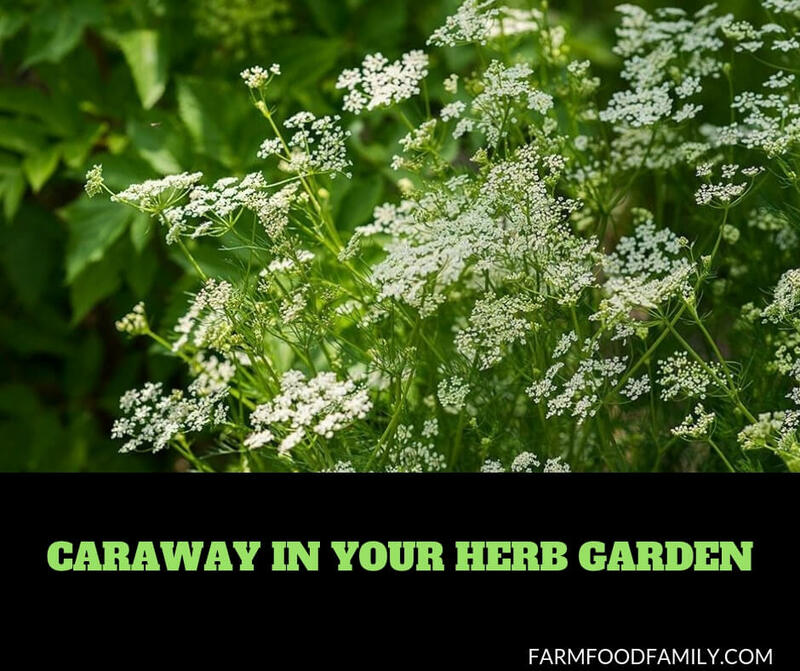 The caraway plant loves full sun and rich loam soil, although it will grow in some shade, just not as well. Sow the seeds in late spring or early autumn, in shallow holes – placed where you intend to leave them to grow. Once the plants are thriving and large enough to handle without damaging them, you may thin to 8 inches apart, but do not even try to replant the ones that you have thinned out. They do not replant easily. Gather the leaves for use when they are very young; seed heads are best harvested in the later part of summer or when they turn completely brown. To dry the seeds, hand them upside down over an open container. If planted indoors, they will do well as long as they are receiving sunlight throughout the day. Care must be taken to ensure that the sun is open to the plant for as much of the day as possible, even if this means moving the plant from one window to another. The caraway seeds can be sprinkled over meats to tenderize and aid in digestion. If you liked cooked cabbage, but dislike the pungent odor (as most people do), adding caraway seeds to the boiling water will reduce the pungent odor of the cooking cabbage. The seeds are also used to flavor breads, biscuits, soups, cakes and even some cheeses. A dish of mixed seeds, including caraway seeds, is often served after a traditional Indian meal. The young, tender leaves are often chopped into salads and soups. The root is cooked and served as a vegetable on its own. Oils from the caraway are used in mouthwashes and colognes. Chewing raw seeds will aid in digestion, promote appetite, give fresh breath and relieve flatulence. Its oils are also used in some liqueurs such as kummel and in confectionery products. The seeds are sometimes coated with white sugar and eaten as caraway comfits – sweet treats.